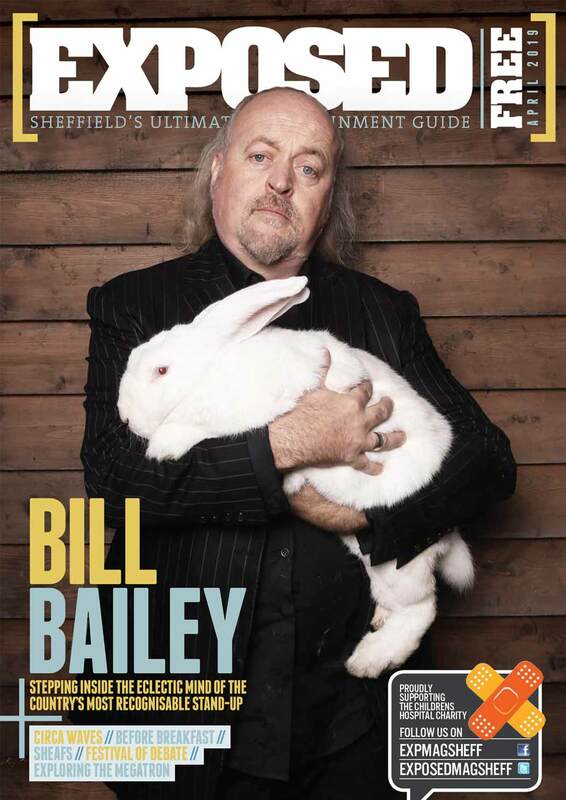 After nearly three years reign as Sheffield’s biggest house clubnight, Muzik Events have announced part one of their two final parties, beginning on Friday March 1st. Eats Everything is set to bring it home at part 1 of their closing festivities on March 1st at their home, Code Warehouse. This won’t be the first time the Bristolian DJ has appeared for Muzik Events over the years, but this will be the last, as Muzik Events close the curtain on three years of massive parties which have seen a huge chunk of deep and tech house royalty grace the decks at Code Warehouse, Foundry, Plug and their day festival Twisted Wonderland. 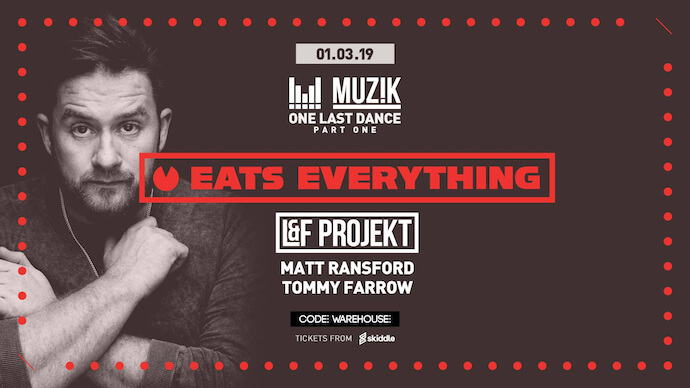 Joining Eats Everything on Friday March 1st will be Muzik founders and residents L&F Projekt, Sheffield newcomer Tommy Farrow and Matt Ransford. Tickets for Eats Everything on Friday March 1st are available from 6pm on January 29th for £13.38 here.